This is hilarious, best watch this and go back to the real Apple iPad Mini Commercial. Enjoy. Came across this awesome multi-purpose swiss knife iPhone case on Indiegogo, the ReadyCase. The case itself comes with either a 8GB or 16GB USB drive, kickstand, lens ring, headphone clip and a multi-tool (blade, opener, screwdriver)….hmm… am I missing anything here? and the best part is the case is less than 3mm thick. Check it out on Indiegogo, only 9 days left to pledge if you want one. Even better is there’s a iPhone 4/4S and iPhone 5 version. The ReadyCase Indiegogo Page here. Ready Case from Ready_Case on Vimeo. 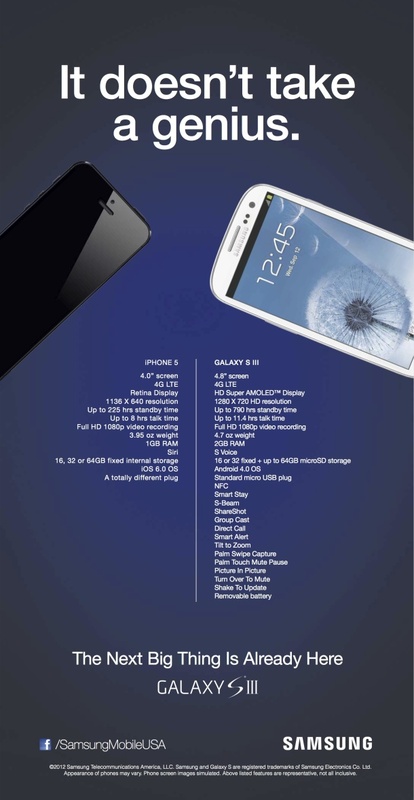 Parental Guidance, don’t let your kids try this at home……… The iPhone 5 sure looks impressive. 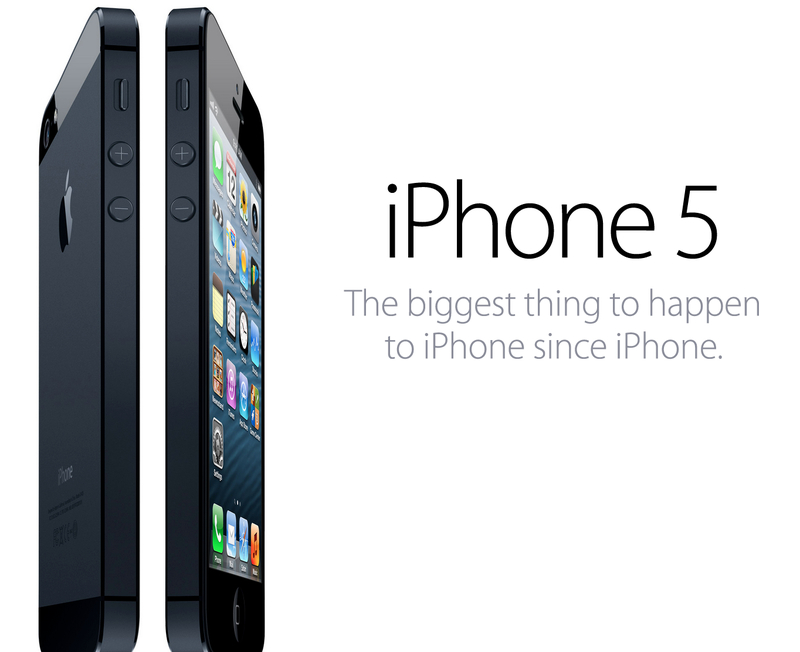 You probably heard enough rants about the new iPhone 5, when even Apple has to openly apologize for some of their hiccups but if you take a minute and rethink why you keep coming back getting a new Mac, a new iPhone or what not, then you realize that maybe, just maybe, you are asking too much. When people buy a new iMac or Macbook replacement, it is not only because of new innovations that been added to the product line (don’t count retina display), people do so because it is time to upgrade because they need a faster machine, bigger screen size, or lighter mobile device. People buy Apple products because they are die hard fans who would not be swayed to go back to the PC. Same with the iPhone. People just expect too much when it comes with the new release. Ok, you want bigger screens, Apple gave you that, faster processor, that’s included too, longer battery life, not that one as it is a trade off with a more slimmer design and faster processor. Along just like any other Apple products, Apple throws in a few bad apples (just like Brian Tong puts it on CNET’s Apple Byte, subscribe to it for all the good and bad news inside the Apple world). The Map application definitely on all front pages and the cheap aluminum housing, the lighting cables that makes all your iPhone/iPad obsolete (soon) and the new screen aspect ratio where not even 5% of the app developers are ready for leaving you with all the void with the extended screen estate. But for all die hard fans out there, we all know that Apple will eventually come up with all the tweaks they need to get it right. The key is, don’t compare the iPhone with their Android or upcoming Windows phone counterparts, Apple is Apple, and you are still biting into it. The guys at SoloMatrix actually put out three variations of the Spike. The Spike1, Spike 2 and Spike 3. 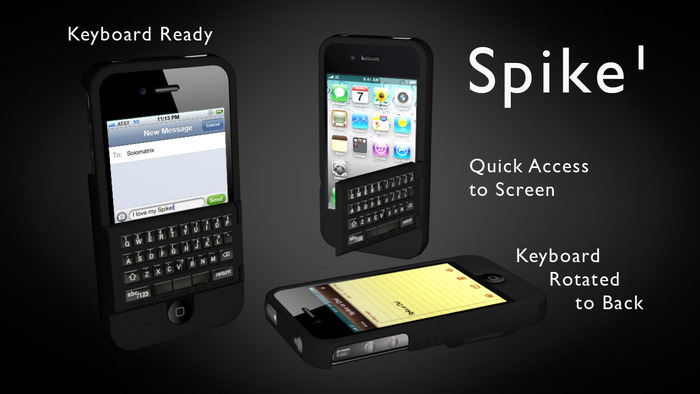 Spike¹ is a combination keyboard and protective case that can be easily and securely installed in a matter of seconds. You can effortlessly rotate the bottom section of the case with the keyboard, to the back or the front of the iPhone, for storing in either typing or full-screen mode. We’ve also hinged the keyboard, so you’ll always have quick access to the full-screen even when typing. 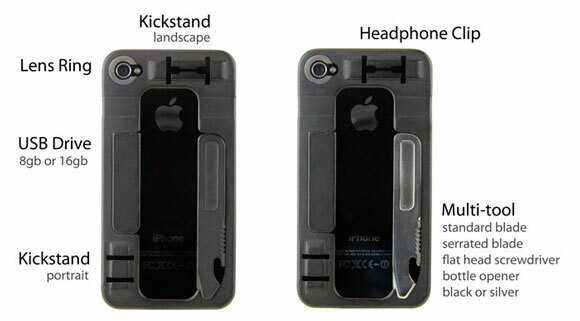 This model is priced in the same range as the majority of ordinary iPhone cases. This means that even for many users that don’t feel they need a keyboard, it is so affordable that it’s tough to pass up. And once they try it, they’ll soon realize the advantages of real tactile keys even though they feel they are proficient typing on the touchscreen. 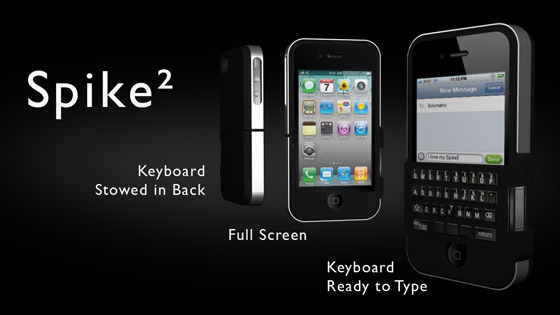 Spike² is our premium version keyboard and case combination. It differs from Spike¹ in user convenience features and overall appearance. Its industrial-strength case not only protects your iPhone, but incorporates a unique and specially-designed asymmetrical 360 degree hinge. This hinge enables you to quickly toggle the keyboard on and off the screen for full-screen access while you are typing. In addition, it also allows you to fold and stow the keyboard in a flush pocket in the rear of the case when you’ve finished typing and return to the full touchscreen to run all those apps that you will probably never use more than once or twice. At a touch of your fingers, it can instantly be brought to the front to bang out a quick text message, email, or even type your first novel comfortably! And to make sure you are always in style, it features a beautiful, brushed metal accent band around the perimeter of the case. 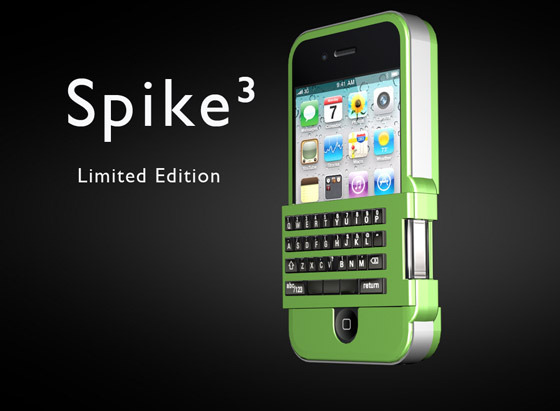 Our Limited Edition Spike³ is for those of you that appreciate the very best. Similar in design to Spike², but with an all-aluminum, antenna-neutral case including the TypeSmart keyboard that is easily stowed out of the way when not needed. We are CNC machining these right here in the USA from aerospace grade aluminum and anodizing them in at least two great colors, Neutron Gray and KickStarter Green, we anticipate a couple more anodized colors to come. To make it truly personal for you or someone special, we’ll custom engrave up to 30 letters on the back of the case. For more information on the different pledges and their production keydates, head over to their Kickstarter page here. Parody Video – What Instagram Will Do Now with $1 Billion? Funny parody video of what Instagram might do with the $1 billion from Facebook. I know what you are thinking but this thing is for real. This is the JoeyBra (http://www.joeybra.com/) which is now a Kickstarter project. Not only can it carry a phone, but also an ID, credit card, and a key. For more, check out their Kickstarter page here. Found this nifty sushi roll maker on Kickstarter, the SushiQuik. The basic kit (US$30) is pretty cool and comes with the training frame which let you know how much sticky rice to use for each roll, the non-stick rice paddle and the SushiQuik Roll Cutter and you’ll also get the recipe ebook which includes 25 recipes. The project deadline is 50 hours away and they are still a bit off from their pledge goal. Take a look and see if this interest you and maybe you can help to get this project off. Definitely the hottest project ever. Pebble have received a pledged of over US$1.875M, yes M for million already with still 35 days to go. Definitely the hottest item and will be the most talk about item this year. Check out the video for what it can do and if you’re an app developer, check out their SDK and jump onboard quick for this baby is making it into the big time in no time. There’s so much info to cover and I’m not going to repost anything off their Kickstarter page, just click over and marvel. Now, does this look geeky or what? Check out the Feinger, an easy to use accessory that allows you “Hands Freedom™.” and never drop your mobile device again! The Feinger easily attaches to any smartphone, cell phone, handheld gaming device, and 99% of other handheld devices. Once attached, The Feinger allows you to pop & lock your device to your hand, around your neck, on your arm, car, home, or office. More information here on their website. Cinematography – Shoot interesting transition shots, panning down, panning across and up, etc. Mount the Galileo on rails and create a mini-rig for your iPhone camera! Infinite 360° panning and tilting rotation. 200° per second pan-and-tilt speeds. Remotely controlled from your iPad, iPhone, or web browser. Swipe your finger across the screen or move your mouse to control the movement of the Galileo and your device. SDK (software developers kit) for app development. Freedom to integrate Galileo functionality into existing apps or to create entirely new apps built around the movement capabilities of Galileo. Or build software to integrate the Galileo with other hardware (e.g. camera rails). Outfitted with a standard tripod screw, the Galileo can be mounted on any tripod. Fabulous charging station for your iPhone or iPod. Charges your device while plugged in (USB cable included). Rechargeable Lithium polymer battery lets you use your Galileo anywhere. This vid is generating a lot of hits, see if it will persuade you to JB your phone.